B. Tech. (Chemical) - University of Madras. Prof Natesan Ramesh, has over 36 years of global experience and has held senior management positions and CEO of various multinational companies in USA, Europe and Asia Pacific. Besides his Corporate experience, he has also been a Principal in a Private Equity/Venture Capital firm that he founded in California 1980's, an Entrepreneur in Aviation sector, and has extensive teaching experience with various Business Schools in USA, Singapore and India. Besides SJMSOM where he is a Visiting Professor, he is Adjunct Professor at University of Texas, Austin USA for International Business and at St.Edwards Univ, Austin Texas where he teaches Global Entrepreneurship. He is also visiting faculty at Singapore Institute of Management, Singapore and has lectured on Globalization at IIM Indore, Babson College among others. He has published 2 white papers on 'Air Taxis- deregulating Indian Aviation' in 1992 for the Govt of India and 'Transformation of NTO's - the changing landscape' in 2004 while he was Partner Asia Pacific at Unisys. He has written numerous articles for CNET, CEO IT and CEO magazines on corporate strategy, globalization trends, marketing and is considered a leading expert on East Asian economies having lived across Asia Pacific. He is currently researching a comparative study of Chinese Automotive Industry vs. Indian automotive industry. 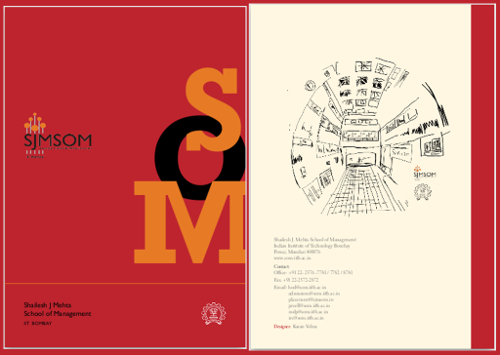 Areas of Specialisation - Information Systems applications across industry verticals, E-Business, ERP and Beyond, Innovation, Marketing of High Technology, IT Strategy and the Digital Divide. 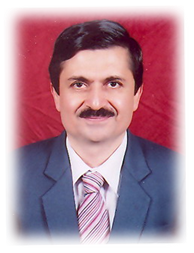 Dr. Yajnik has around 15 years of experience in the IT industry and also around 17 years of teaching experience. He has worked with Companies such as Wipro Infotech and Digital Equipment (HP) in areas spanning Business Development, Learning Services and Program Management. He has several publications to his credit at the National and International level. He is also a Corporate Trainer and serves on the Executive Boards of Information Technology and Management forums of India. Dr. Nilay Yajnik is on the Editorial Board of Innovate Journal of Online Education of the Fischler School of Education of the Nova Southeastern University, Florida, USA. 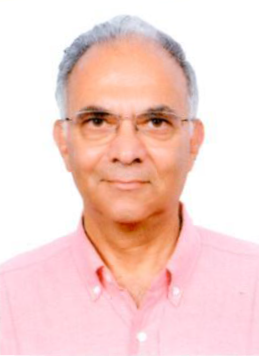 Dr. Nilay Yajnik is on the Program Committee of the 10th IBIMA Conference on Innovation and Knowledge Management in Business Globalization, Kuala Lumpur, Malaysia, and on the Program Committee of the 1st World Conference on Web Science 2009, Athens, Greece. Dr. Yajnik is on the Leadership Team and Member of the International Editorial Board of the India China America Institute, Atlanta, USA and on the Board of Editorial Reviewers of the International Conference on Innovation in Management, Poznan Poland. 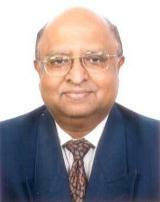 Dr. Yajnik has been on the Executive Committee of the Management Education Division of the Academy of Management USA. Area of Specialisation - Lean Management. Owen spent virtually a lifetime (37 years) at Ford Motor Company in its European Operations. During that time he held posts in Customer Services, Audit, Operational Research, IT and Process Reengineering. In 1996, he was asked to join the newly launched Ford Production System (Ford’s Lean journey). This had a profound effect on his thinking and he elected to go back to school to study Lean in the world’s first post-graduate course at Cardiff. Much to his surprise he managed to gain a distinction. He retired from Ford in 2005 and spent the next three years on the shop floors of Edwards Ltd teaching the people about kaizen Owen has been lecturing MBA students at the University of Sheffield for well over a decade. He has been associated with SJMSOM since 2011, and has taught in various Management Development Programmes, given industry talks and has engaged in some Lean consulting. Owen is a keen photographer, sings in a local choir and has had an extremely frustrating time trying to understand the mysticism of golf.